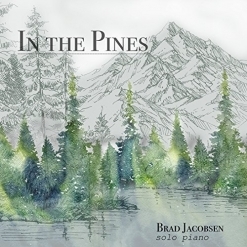 In the Pines is the seventh solo piano album from pianist/composer Brad Jacobsen. 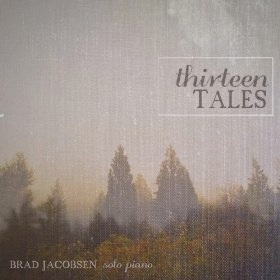 The twelve tracks include Jacobsen’s arrangements of eleven traditional folk songs and one original composition. Currently a third grade teacher and a former children’s librarian and storyteller, Jacobsen has a wonderful gift for telling stories with and without words. 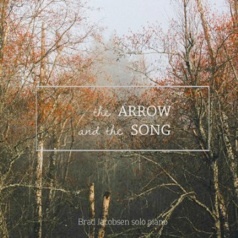 In concert, Brad can use both words and music to spin his tales, but on his recordings, he has to get those images across with just the piano - and he does a great job of doing just that. 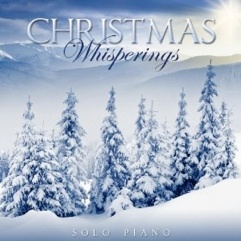 Jacobsen was recently awarded the 2017 Christmas Album of the Year from SoloPianoChristmas.com for his previous release, Midnight Clear. In the Pines was recorded on a Shigeru Kawai concert grand and was engineered by Joe Bongiorno at Piano Haven Studio. As always, the sound of the piano is exceptional! In the Pines begins with “The Lark in the Morn,” a poignant Irish folk song with a graceful melody and a gently-flowing tempo - a lovely opening! The title piece is an old American folk song that may actually have Irish roots. Jacobsen uses the damper pedal to create a haunting, atmospheric sound behind a simple playing of the melody at the beginning and the end of the piece. The main body of the piece employs several key changes as well as changes in tempo and rhythm. This is one of my (many) favorites! “Londonderry Air (Danny Boy)” is one of the most well-known and beloved Irish folk songs of all time, and Jacobsen makes it his own with great tenderness and deep emotion. (This was one of my dad’s favorite songs, and I think he’d love this version!) “Dapples and Greys” is another title for “All the Pretty Little Horses,” which is thought to have African-American origins as a lullaby sung by a slave to her baby. I love this arrangement and the heartfelt emotion that goes with it. “Wayfaring Stranger” has been one of my own favorite folk songs for years, and Jacobsen captures the dark, bittersweet spirit of the song perfectly. “Hey Ho, Nobody Home” was a bit of a surprise. Originally a children’s song that dates back to the early 1600’s, Jacobsen has dusted it off and brought it back to life as an affecting piano solo. I really like this one, too! “Three Ravens” is an English folk ballad with a soulful melody that expresses a lot of drama and emotion. I love the passages where the right hand goes from the high end of the piano to the deep bass. “Crossroad” is Jacobsen’s original piece and it fits right in with these much older folk tunes both in style and spirit. In the Pines is a beautiful album from the first note to the last. A songbook with all of the pieces from the album is in the works and will be reviewed on MainlyPiano.com as soon as it becomes available. The album is available from Amazon and iTunes. Highly recommended!